Well if you haven’t, you’re not alone. Hashimoto’s Disease is a condition in which your immune system attacks your thyroid. Until Gigi Hadid announced that she has the condition, it had rarely been discussed in a big way. 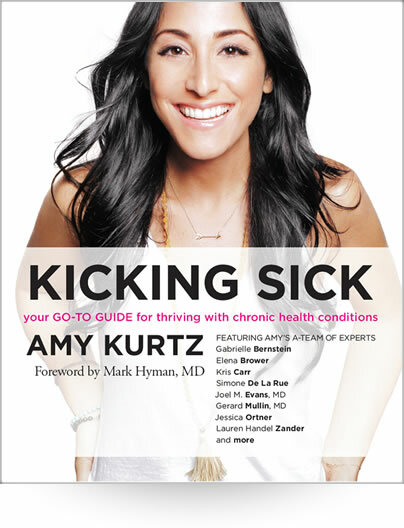 As a fellow glow warrior, aka someone living and THRIVING with a chronic condition, I have to say, power to her! It’s about time we started having more open, compassionate conversations about chronic illness, which impacts 1 in 2 Americans every year! And there’s never been a better time to bring this subject to light. Most people don’t even know where their thyroid is, let alone how it works. Named for the Greek word “shield”, your thyroid is a butterfly-shaped gland located in the center of your neck just beneath your Adam’s apple. It secretes hormones that regulate breathing, heart rate, metabolism, and central and peripheral nervous systems. In other words, it’s muy importante! The hormones produced by your thyroid determine how well your cells can do their job, and your cells performance controls how you feel every day . If your thyroid isn’t working properly, it affects everything else. 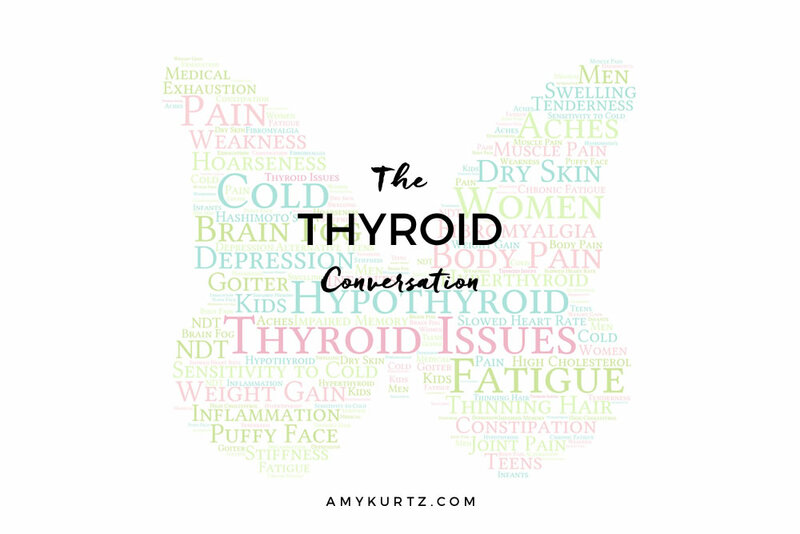 With as many as 20 million Americans diagnosed with thyroid problems, I’d say it’s a good idea to get educated on what can go wrong. Too much or too little thyroid stimulating hormone (TSH) can wreak havoc on your health. An overactive thyroid (or hyperthyroidism) means you’re producing too much TSH. This can cause excessive sweating, nervousness, weight loss, sleep problems, and tremors. Hypothyroidism is the opposite. It means you don’t produce enough TSH. Symptoms include: fatigue, weight gain, constipation, increased sensitivity to cold, dry skin, depression, muscle aches, reduced exercise tolerance, hair loss, and irregular periods. Hashimoto’s falls under this category, so I tip my hat to Gigi Hadid for shining a bright light on this not so pretty diagnosis. You glow, girl! In fact, after a trip abroad during my mid-twenties that caused the perfect storm of illnesses (parasites, food allergies, gastrointestinal problems, you name it), it was a thyroid imbalance –and the dangerous subsequent overmedication– that sent my body into a massive shutdown. I wish I’d known then what I know now about the thyroid. Understanding how to spot its SOS signal early on would have spared me a lot of pain and heartache. The foods you eat are super important.Aim for a gluten-free, grain-free diet to avoid inflammation and the extra work it takes for your body to digest gluten and grain. Stress creates a hormone cocktail. Don’t forget about the other glands (hypothalamus, pituitary, adrenal) that work to keep your hormones balanced. When we’re physically or emotionally stressed we produce more hormones, which can throw the whole endocrine system into overdrive! Get the right lab work done. Thyroid problems often go hand in hand with deficiencies in iodine, zinc, selenium, vitamin D, A, C, and a few more. It’s so important to have your doctor run a blood test specifically to check your TSH levels. Make sure they are an expert on the thyroid. It’s a big picture issue. Unfortunately, most health conditions aren’t resolved with a single one-pill-cures-all method. Since the thyroid has such a big impact on the rest of your body, you need to treat it with a well-rounded approach that includes diet, lifestyle, exercise and stress reduction. Get educated. Thyroid disorders can be tricky because their symptoms are so broad. For me, it showed up in the form of depression, dark circles under my eyes, weight gain, chronic fatigue, and difficulty sleeping. Point blank, I just felt like crap. I knew something was seriously wrong, but I didn’t have all the answers. Who could have guessed that I should be watching out for heavy metals, for example! But that’s just some of the knowledge you pick up along the way when you go from being a sick chick to a glow warrior. As a side note, women are far more likely than men to have thyroid complications (thanks, hormones!) One in eight of us will be diagnosed with some thyroid-related problems in her lifetime, and many more will go untreated. Let’s keep talking and supporting one another. Thanks Amy, this is so fact-filled, concise and easy to understand. I was wondering about this and find your explanation so helpful. You Glow-Girl! PS~ wondering about the weight part of this…what if you’ve lost weight, does that eliminate this as a possible problem? Thank you for the feedback Rhoni 🙂 From what I understand from my own experience, losing weight can be a symptom of hyper thyroidism (overactive). The thyroid is so complicated that its best to seek out a specialist for a full assessment. It is delicate and complicated! Hope that helps.